Will you be spending Valentine’s Day in the Caribbean? We’re here to help you plan a fantastic date with your special someone – it’s sure to be unforgettable! 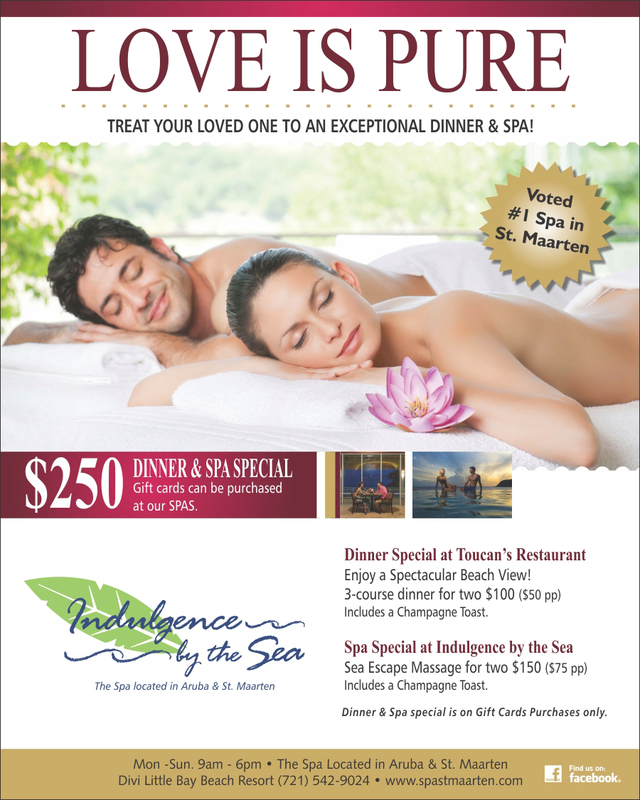 If you and your loved one want to be pampered this Valentine’s Day, then you’ll love the dinner and spa packages offered by Divi Resorts on Aruba and St. Maarten! 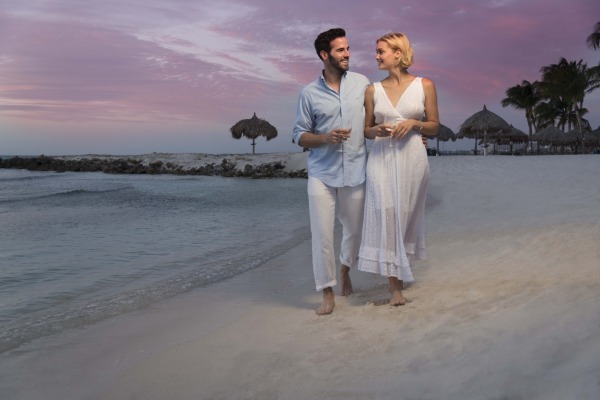 Unwind with a relaxing couple’s massage in a private cabana on the beach, followed by a romantic, candlelit beachside dinner, featuring an exclusive 3-course menu and a champagne toast. 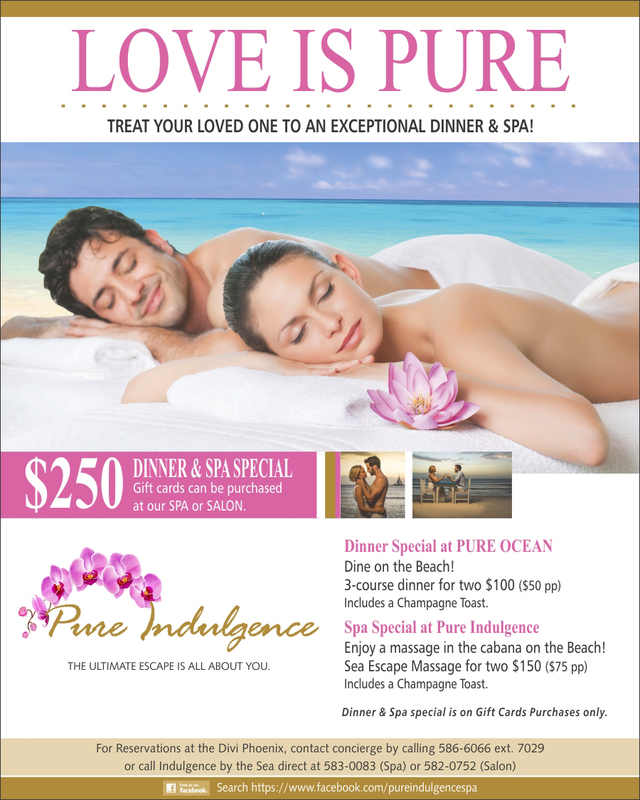 A luxurious date like this is sure to leave you both feeling refreshed and reconnected! Are you an active couple looking for thrills during your vacation? There are so many unique dates you could enjoy on Valentine’s Day; you just have to explore what your island destination has to offer! Go scuba diving, take a zip line tour, ride horses on the beach, hike to historic landmarks, rent jet skis… no matter what you choose, you’ll be immersed in the island’s beautiful, tropical atmosphere and create memories that will last a lifetime. Valentine’s Day is a special occasion, but it doesn’t mean you have to break the bank to have a wonderful date! Spend the day sightseeing or window-shopping around town, pick up ingredients at a local market and enjoy a lovely picnic on the beach, or simply walk along the shoreline to enjoy some quality alone time. All of these dates are fun and romantic while still being affordable, and who wouldn’t love that? What will you and your loved one be doing to celebrate Valentine’s Day? If you are spending it at Divi Resorts, be sure to share your favorite date ideas with us! GREAT article! can’t wait to use these tips! This can be used anytime, not just on Valentine’s Day. Thanks!